When most people think of flowers, they picture bright colors like pink, red, yellow and purple. However, did you know that there are several varieties of black flowers, too? 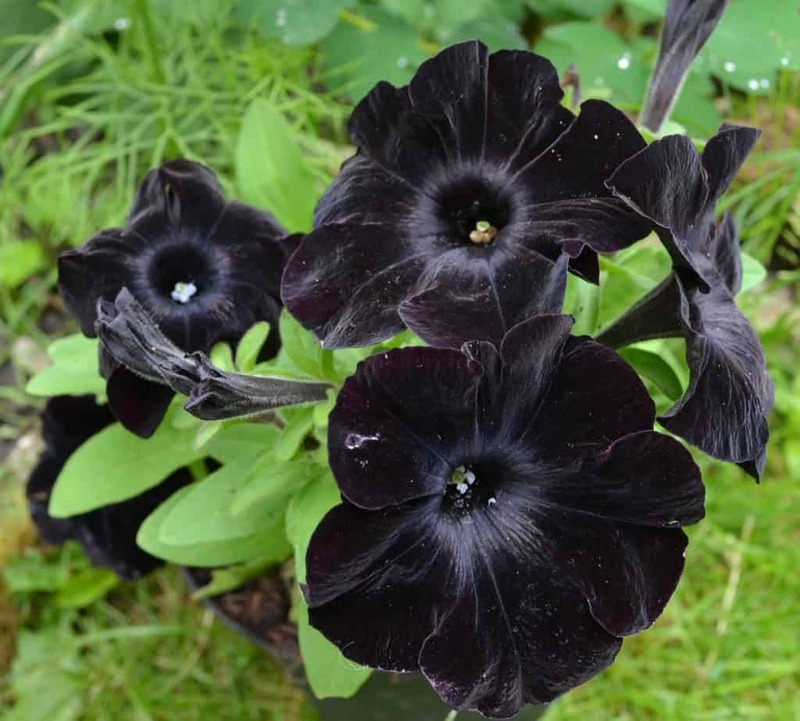 We’ve compiled a list of 10 black flowers that are sure to make your garden or bouquet stand out! Find names, photos and gardening info below. 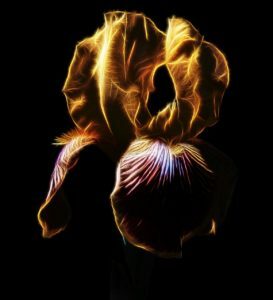 Bearded Irises grow 9-12 blooms per stem. The blooms have 3 petals which stand tall and 3 blooms which droop. In addition, they are great for use in bouquets or planted in a garden in large groups. 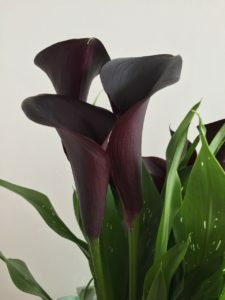 The petals on this calla lily appear to be silky and look rather elegant. They are highly adaptable and can thrive in containers, gardens or used as edging. In addition, they grow 18 to 24 inches tall. 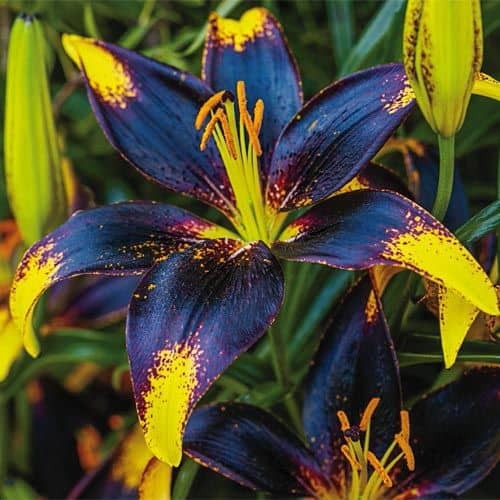 These beautiful lilies have black petals and feature bright yellow tips for a pop of color. In addition, they multiply quickly once established and will bloom for years. Lionheart tango lilies are great in flower bouquets and last a long time once they’re cut. These irises are a sight to see! They received their name from the yellow and black petals which resemble bumblebees. 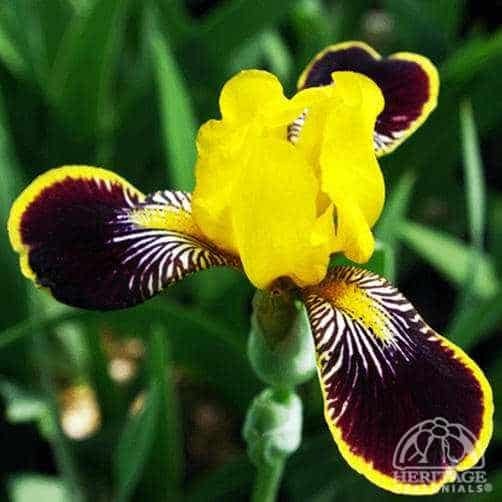 In addition, the blooms are miniature compared to other irises but the stems can grow to 18-20 inches. This black coneflower attracts butterflies. 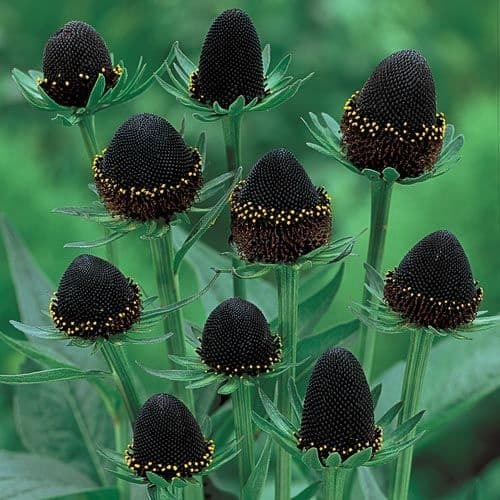 They feature a black ‘cone’ with dark green sepals. The bat orchid is an interesting plant which looks like a bat in flight. It is also called “Cats Whiskers.” Scientists believe that the bat orchid may have cancer fighting abilities. Therefore, these flowers are not only interesting to look at but may have special powers. Black magic violas are frequently called winter pansies since they grow in the cooler spring and fall months. 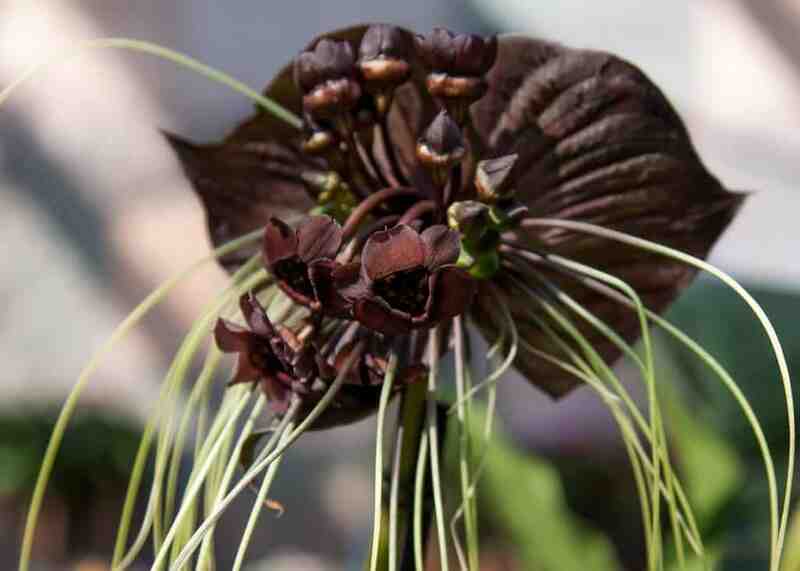 They are one of the most common black flowers planted in gardens. 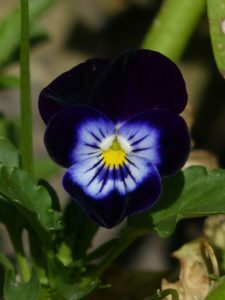 Violas feature a beautiful violet color in the center. Horticulturists created he black petunia in 2010. Petunias can be planted in gardens or containers. Additionally, they also make good ground cover in gardens. 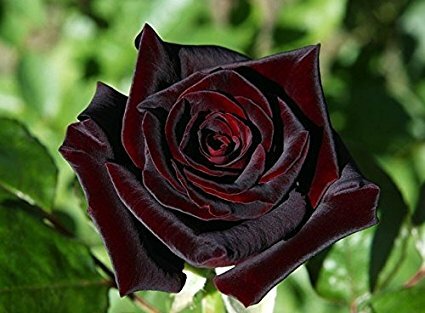 This rose is one of the most loved black roses on the market. Not only does it look pretty, but it also has a nice fragrance which makes it popular for use in bouquets. In addition, the rose will appear darker in cooler temperatures. Black roses in containers can be grown year round. Learn more about the meaning of black roses on our other post. These are typically biennial plants though they can be short lived herbaceous perennials. They can grow to 6 feet and look wonderful planted in the back of gardens. 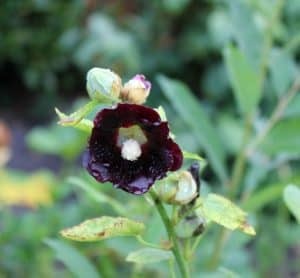 Additionally, black Hollyhock are also often planted along fences. Similarly to other black flowers, these also attract butterflies and bees.